Awesome aquatic map with adventure opportunities. Tested only on PS3. -Two Ocean Monuments are right next to each other. -Numerous buried treasure maps but they might lead to same treasure. -No flower biomes, no mesa, no mushroom island. Yo! I checked the seed over a million times and it was the exact same as the seed given here. I put the given seed into the slot and- bam! I created the world. Shortly after, though, I discovered the map was different than the attachment given. Very confused about this. Anything you know about this, please reply. Hey @minerxx567, sorry my slow response! For me there is a village at X 317, Z -142. Hi @bonniethebunny512, I'm sorry to hear it wasn't working for you! 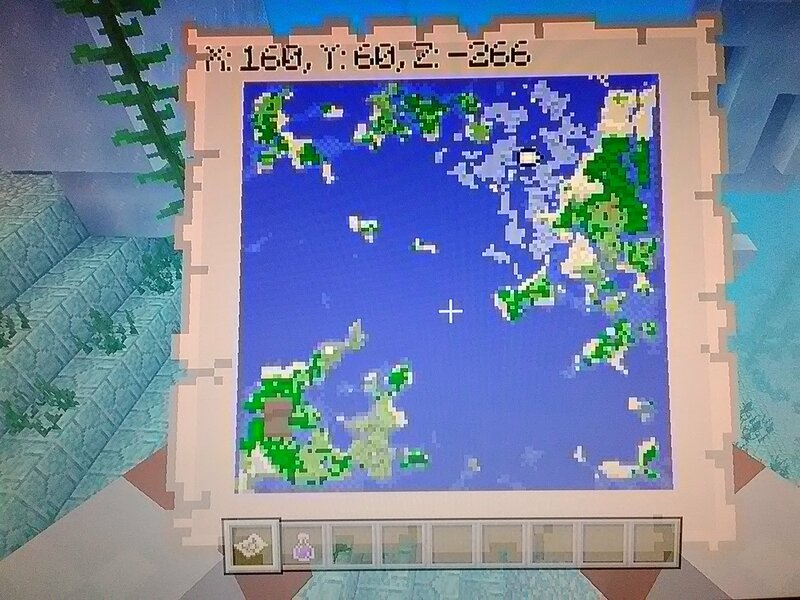 I just opened the seed as a new world and it still works fine for me. I'm not sure what to say, maybe double check that you included the hyphen (-) in front of the seed number? Also if by chance you are not on PS3, it might just not work on other platforms, idk.